I do so hope you’re all having a wonderful Christmas – and if you’re back in work today I hope you’re looking forward to another lovely long weekend!! I’m going to brighten your day now with another brilliantly inspiring couple – this is Naomi and Chris, whose church wedding is such a joyous celebration I couldn’t resist sharing it again! 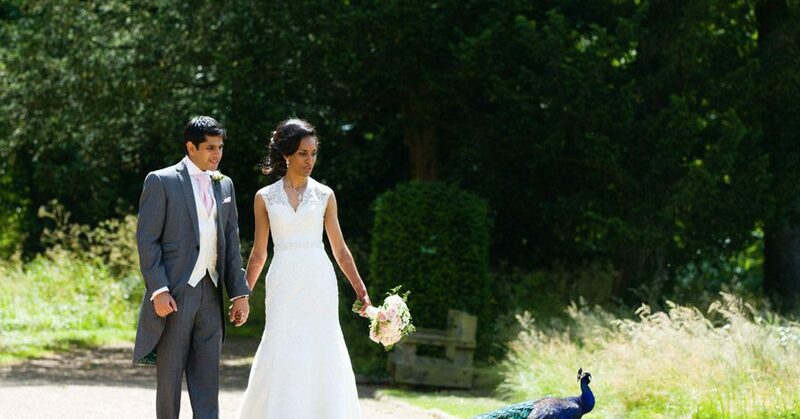 Their photographer is Hannah K. Photography, and the venue is Alveston Pastures Farm in Warwickshire. Enjoy! 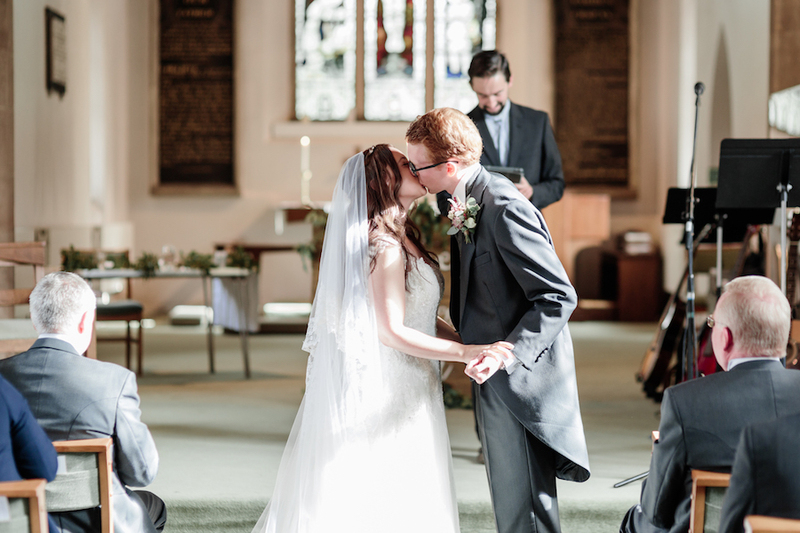 Naomi and Chris declared their love for one another at Westwood Heath Church in Coventry. 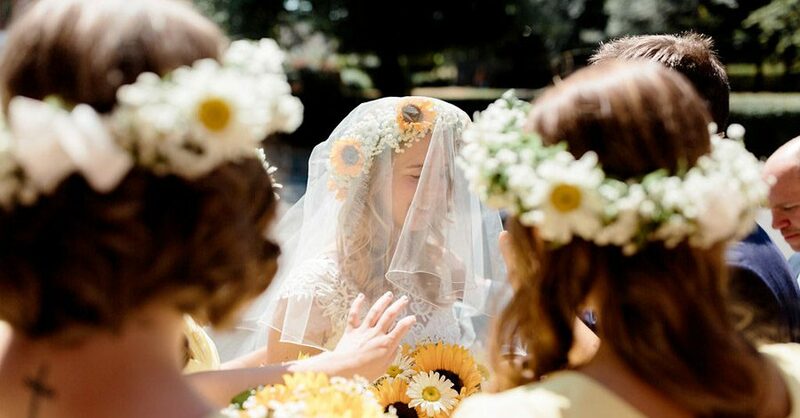 Their religious ceremony was such a meaningful part of the day – but that didn’t stop this wonderful couple from leaving the church dancing down the aisle! Happy Friday folks! Do you have plans for the weekend? We’re off on adventures and I’m desperately hoping my back will hold out… turns out blogging is not the best for posture! I’m all achy and rattling full of ibuprofen this morning, yikes! 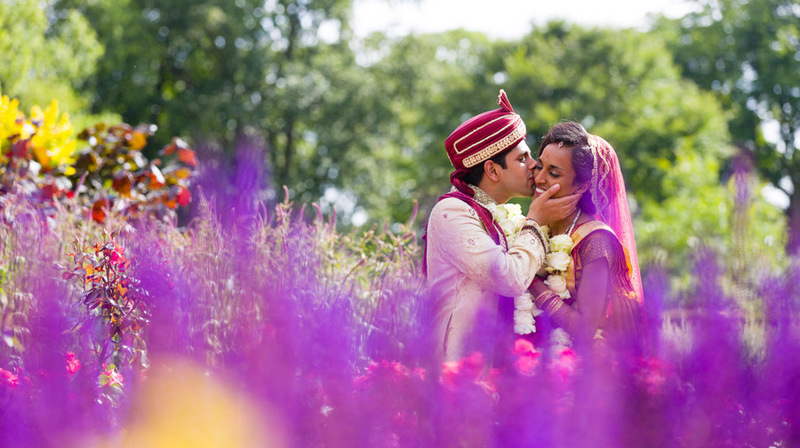 But still… I can’t keep away from my desk as this gorgeous summer wedding is lightening my heart today. 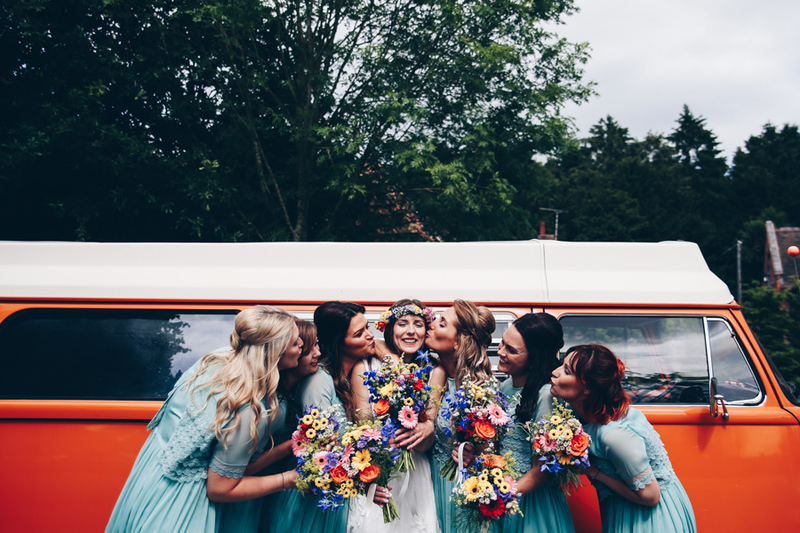 Beautiful bride Heather married Houw at Shustoke Barn on a sunny June day – their wedding is perfect for summer and I LOVE how full of colour the images are. Jo at www.solihullweddingcreation.co.uk did our flowers, and they were perfect. A beautiful mix of colourful wild flowers. I was so happy with my bouquet and my bridesmaids’. My flower crown was just incredible. The button holes were awesome and the decorations throughout the barn were perfect, not too much and full of colour. Happy Friday lovelies! I have the sweetest wedding for you all today – Naomi and Chris declared their love for one another at Westwood Heath Church in Coventry. Their religious ceremony was such a meaningful part of the day – but that didn’t stop this wonderful couple from leaving the church dancing down the aisle! People always ask you – what colour theme is it? What are using to decorate? What’s the cake like? You can get wrapped up in all these things very easily and don’t get me wrong they help make your day beautiful! 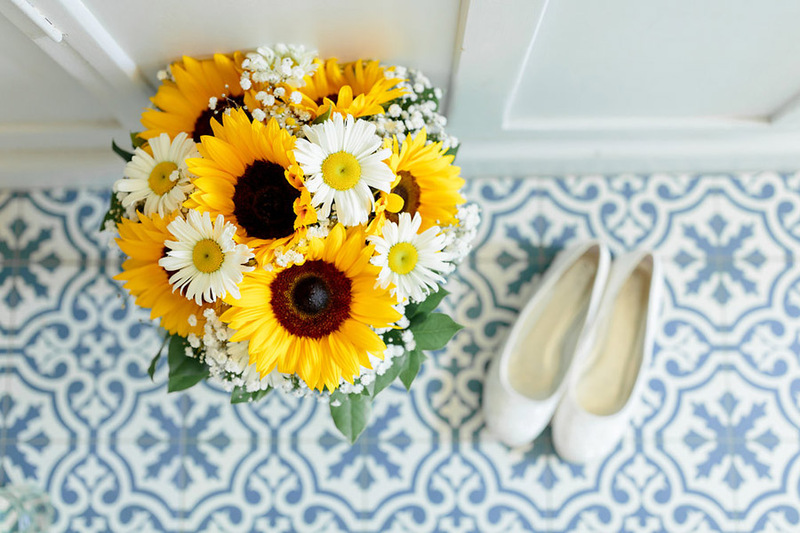 But, I found that what made my day joyful was the thought we both put into the vows, the songs, the moment we would stand and commit our lives to each other. So don’t forget the ceremony! Putting care and thought into this was when I knew we would have the most joyful day. 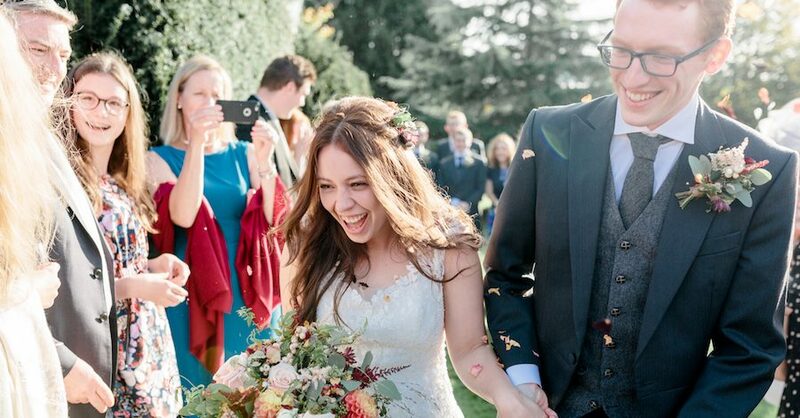 I LOVE all the details of this wedding… the dried flowers, Thomas’s suit (I love it when a groom wears something different to the norm) and Danielle is just so beautiful – welcome to the wedding of a fabulous couple whose gorgeous wedding DIY and wonderful wedding planning advice will inspire you so, so much! 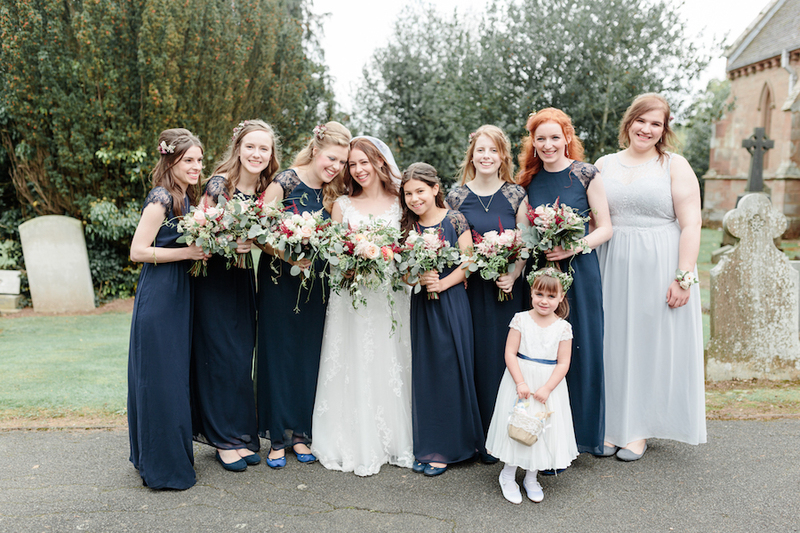 It seems sooo long since we published a sneak peek from this wedding in the English Wedding Book at the beginning of this year (do you have your free copy yet?) 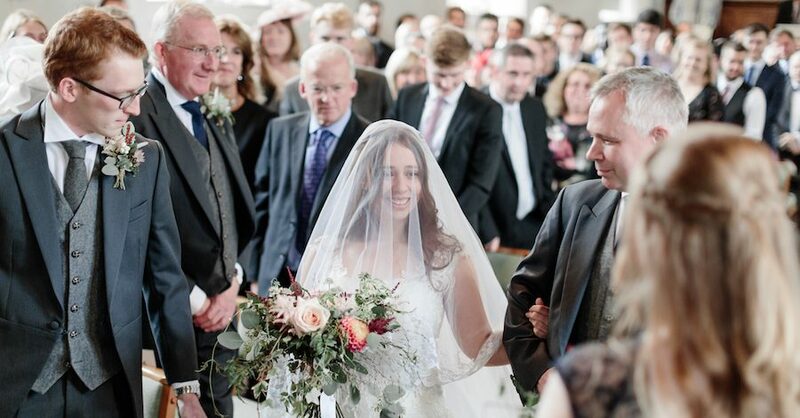 but when these divine wedding pics landed in my inbox it felt like yesterday. 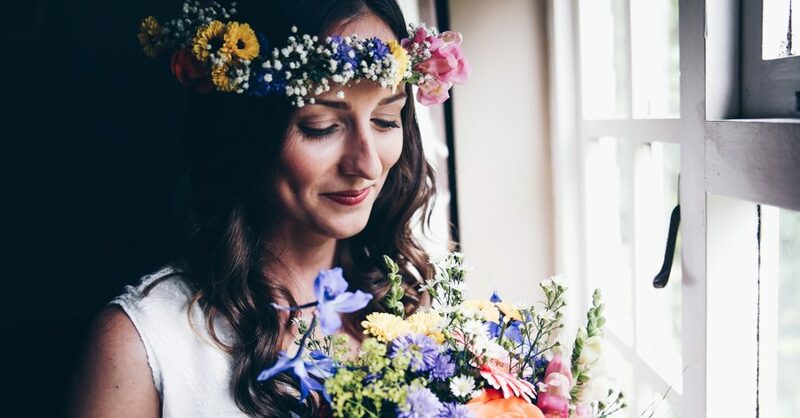 Vanessa and Will are amazing: their farming wedding is one of the loveliest I’ve ever featured and I know you’ll love everything about their day. Saturdays are for road trips, explores, adventuring and discoveries – and so I invite you to join me once again to visit (virtually!) 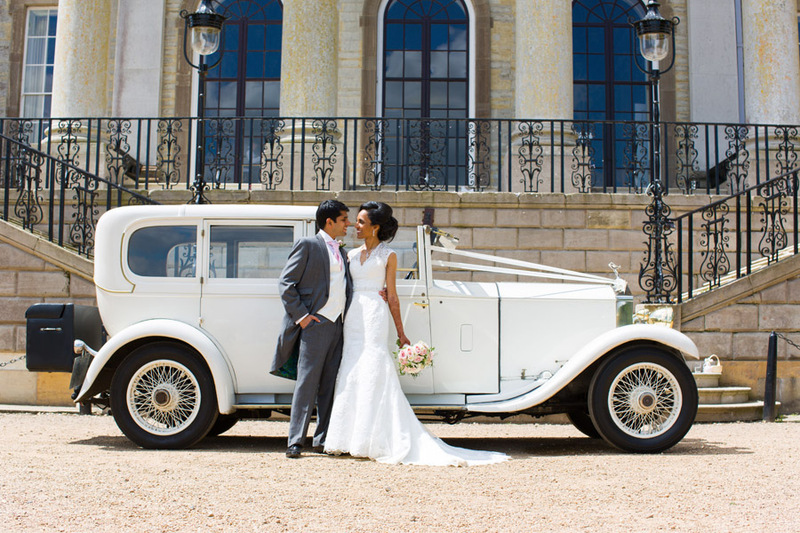 another fabulous English wedding venue: Studley Castle, in Warwickshire. Rob and Sarah Gillespie – my lovely friends and blog supporters – have photographed weddings at Studley Castle before, and know it well. They shot Lori and Tom’s stunning castle wedding there this summer – images used in today’s feature are from this beautiful wedding. The only reason I’m telling the story from the beginning is that I’m just as excited to show you all of the other images of the day… today’s real wedding is full of surprises, beautiful touches and smiles from beginning to end. You’ll love it! 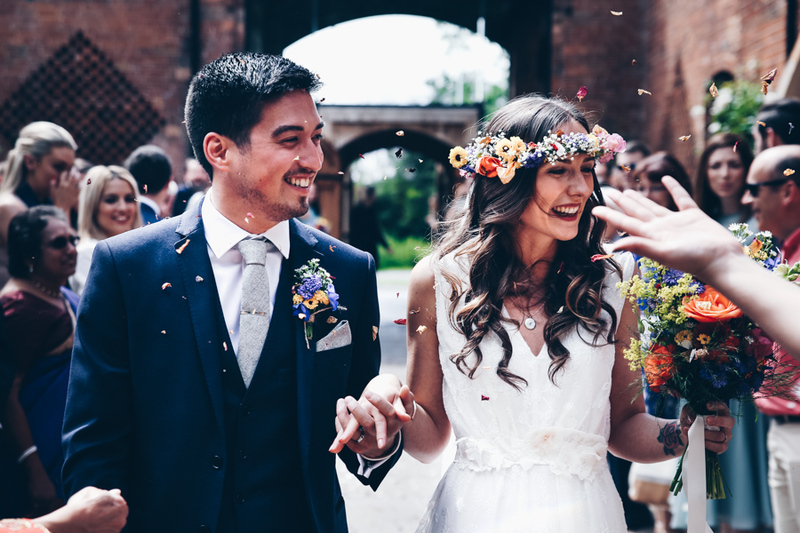 Lori and Tom were married in the summer, and seeing their wedding today is warming my heart – it’s a beautiful celebration for a gorgeous couple in one of the most magnificent venues our country has to offer: Studley Castle. The ceilings are spectacular; the setting is incredible and the atmosphere is spine tingling!